We’re proudly picky when it comes to refining our cake recipes. Developed by Alana over years of kitchen research (that is, tasting and trialling all sorts of scrumptiously sweet stuff) the cakes in our signature collection are meticulously hand-crafted in Wales from the finest ingredients. Imagine divinely dark Belgian chocolate, giant marshmallows, homemade butterscotch, locally-farmed free range eggs and silky salted caramel – mmm! Our lives have been shaped by baking and we love sharing our passion for ridiculously delicious cakes with fellow treat lovers everywhere. 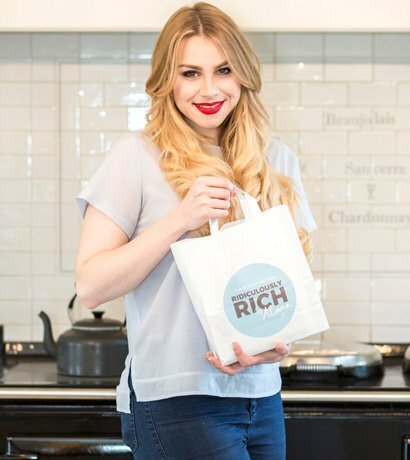 Alana Spencer’s professional love affair with sweet treats began at the age of 14, when her Mum bought her a book about making chocolate. Alana became a self-taught chocolatier at only 16, renting her first kitchen and starting to sell her luxury chocolates to friends, family and teachers before quickly attracting the interest of two shops in Aberystwyth. The delicious chocolates became incredibly popular, and in 2010 Alana decided to leave school and pursue her entrepreneurial chocolate-loving dream. Initially calling her business Narna’s (after the nickname used by her little sister! ), she started making tray-baked cakes alongside her chocolates and moved production to a purpose-built country kitchen in her parents’ back garden. Staying true to her love for Belgian chocolate and luxury ingredients, Alana’s cakes impressed many independent delicatessens and she started selling her products in outlets across the United Kingdom. She refined her offering to six well-loved cakes (including her famous gooey chocolate brownie) and began travelling the country bringing her ridiculously tasty goodies to a large number of food festivals and shows. 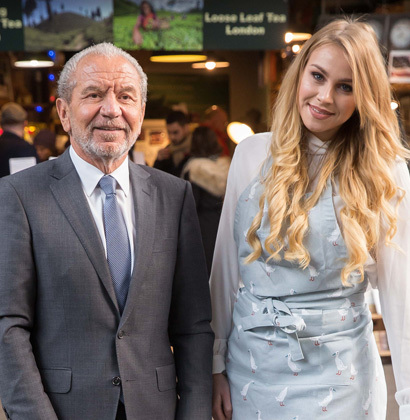 In 2016, Alana decided to take her business a step further and she applied to become a candidate on BBC One's The Apprentice, seeking a £250,000 investment from Lord Sugar. Proving herself to be business-minded, adaptable and astute, Alana beat 17 other candidates to win a 50/50 partnership with the business heavyweight, coming up with the new brand name for her business during the dramatic season finale...and so ‘Ridiculously Rich by Alana’ was born! At Ridiculously Rich, we believe in the evolution of wonderful cake. We love tweaking our recipes and experimenting with new ingredients to guest-star in our special orders and subscriptions boxes. Sign up for a subscription today and meet your favourite flavours, get excited by our inventive textures, aromas and tastes, or delight friends and family with exciting cake surprises every single month. 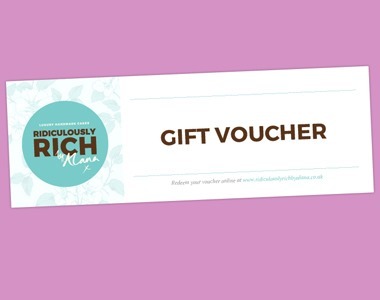 We’re building an army of cake-loving brand ambassadors to join us on the Ridiculously Rich journey. From Aberdeen to Anglesey, Guernsey to Greater Manchester - our dream is to cover the United Kingdom with our cakes! If you enjoy the atmosphere at food markets, you’d love to run your own business, and you’re naturally passionate about food, then you might be the perfect cakepreneur to join our team!